Oh i Say! Welcome Back! When I last offered up my two cents on the sport of kings Novak Djokovic had just triumphed in both Indian Wells and Miami, the two big spring hardcourters. I predicted that the upcoming clay courts would halt the Serb’s progress. He failed in Paris yes, but little else and 2011 was most definitely his. Murray and Federer enjoyed fine ends to the year, the latter particularly strong in London at the Tour Finals (I was lucky enough to witness his delicious demolishing of Rafa in the group stages), but they could enjoy a second wind. 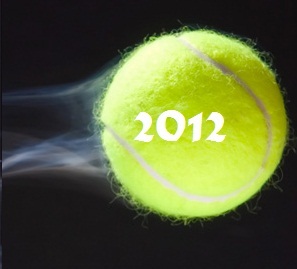 Will 2012 be more of the same? Despite Federer’s form in the twilight of 2011, it is difficult to imagine him causing any problems for Djokovic with both players fully fit. The same applies to Murray who unlike the Swiss has youth on his side, but will need time with Lendl and perhaps a bit more fitness to equal Novak’s devastating game. Nadal is something of a worry, his game more than the aforementioned is – despite his major triumphs on all surfaces – the least flexible and ripe for adaptation, it is also by far the most punishing on his body. Of the rest? Tsonga and Berdych stand out as most likely to bully the elite quartet one for his sheer force, sublime serve and lethal dose of capable hands, the other for his guile, power and unpredictability. Who knows, i certainly don’t but I intend to watch more tennis this year (finally giving into Sky Sports thanks to BBC limply handing over F1 rights), and as always will find out with a grin on my face constantly. The women’s game is in the best shape it has been for some time, I say this despite the rankings telling a different story. Wozniacki continues the ‘in vogue’ trend for the ladies game to have this enigmatic number one, creaming everyone on tour week in, week out yet falling short (often to ignominious opponents – see Hantuchova in Roland Garros 2011) at the majors. Unlike Safina, Wozniacki is at least endearing and media-friendly. Yes the top spots are still occupied by some players who, despite their undeniable talents represent the changing of the ladies game from grace, touch and finesse to power and grunting (Azarenka, Kvitova et al). But look elsewhere, Li, Stosur (one dimensional yes but at least its slice over sledgehammer), Schiavone, Clijsters and Serena are still more than a match for the game’s best. Will Wozza break her major duck this year? I predict she will, and Clijsters and perhaps Sharapova will add to their talents. With Serena looking doubtful after her Brisbane rollover, Australia will once again offer up the most tantalising first test.